Enter into your very own Seaside Dream in Cinnamon Shore. This custom home features space for your entire family with five bedrooms, beautiful wood pieces, and nautical decor. Enjoy views of the beach and Kiera’s Pool while relaxing on the wrap-around decks. Take the short walk to the community pools, on-site restaurants, fishing ponds, neighborhood activities, and beach boardwalk. The first floor features a great family room with one of seven Smart TVs in the house. There are also two beautiful king bedrooms in soft shades, reminiscent of the colors of the sea. Each bedroom has its own en-suite bathroom and tiled walk-in shower. The fun nautical themed bunkroom sleeps four with a private bathroom. The downstairs laundry is conveniently located by the back door for those sandy towels, with access to the breezeway and outdoor shower. The second floor features a grand open living area for your family to gather. The open concept features a fully equipped kitchen with custom granite countertops to help prepare your catch of the day after some quality Port Aransas fishing. Sit around the large dining table for family-style dinners or take in the Gulf views on the outside deck with Adirondack seating and a dining table. A grilling deck with views to Kiera’s Pool is found off the kitchen. The master bedroom with a king bed, warm wood accents, water views, and brilliant sunsets make this truly an unforgettable space. The large en-suite bath boasts double vanity sinks and a large tiled walk-in shower. The second master suite is an ideal romantic space. This beautiful bedroom includes a king bed and a beverage bar equipped with refrigerator/freezer drawers, microwave, and sink. Enjoy the breathtaking view of the Gulf and the amazing view of the sunset over the Bay on your private deck with comfortable seating and an outside dining table. This master suite also has its own washer/dryer. Seaside Dream will make you feel like all your cares are an ocean away. Bed Type: 4 Kings, 4 Twins, 1 Pull Out Sofa. Wonderful time with children and grandchildren. Seaside dream fits all our needs. Beautiful home close to the pool. We had four families and LOTS of kids!! The house was perfect and we cant wait to go back soon! Very spacious and room for everyone. Well appointed. The kitchen was well stocked. 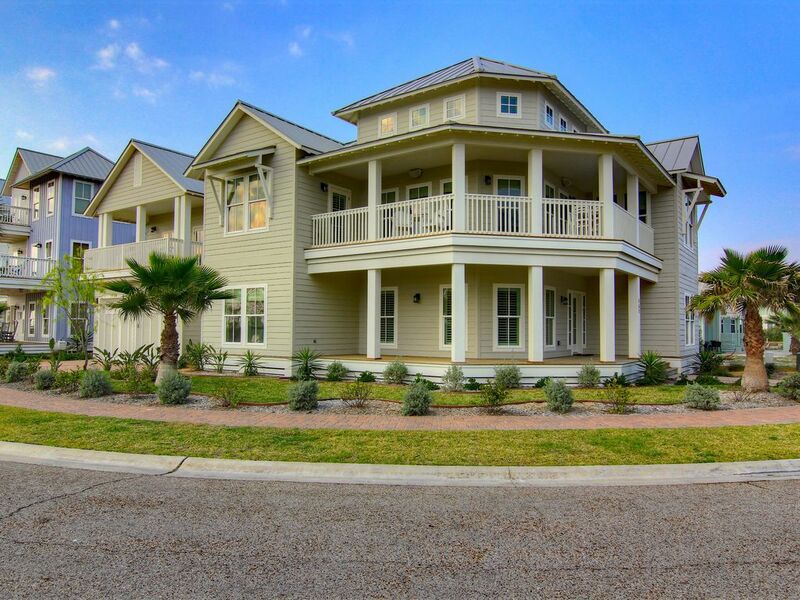 Seaside Dream in Cinnamon Shore was an outstanding property for our family reunion of 7-adults and 6-children. It was spotlessly clean with an ideal floor plan, and close to the beach and pool. Totally awesome!! Will return to this beautiful home with great property management.